Thanks this week to Syne Mitchell, for tempting me over to the warp side (Those weavers. They recruit, you know.) Special thanks to Toronto writer, Sage Tyrtle, of Quirky Nomads Podcast for her wonderful essay, and for a ritual I’ve come to value so much – teatime, every weekday morning. Sageâ€™s fundraiser this month benefits a school in Abbeville LA that was hit hard by Hurricane Rita, and is one of many such projects youâ€™ll find at Donorâ€™s Choose. You can also help the Fiber Arts Avengers help support Nat and his family. Submit your designs, see your pattern in print, and you could win some cash! A new voice joins the Knitting Podcast Family. Welcome, David, and great job on your first ‘cast! The Age of Innocence podcast will continue to be available through the month of November, and contains music that has not been included onthe Librivox.org project (due to copyright issues). In other words, now would be a good time to download it, if you’re so inclined. Check out the Ashford Knitterâ€™s Loom. Special thanks to the kind people at Haldanes, for making my review possible. Read the source material for the first World Wide Web: Enquire Within Upon Everything. Finally 9and I really should say it more often), eternal, grateful thanks to my partner, Tonia, for dog wrangling, and for being Engles, so I can be Marx. Your new episode is downloading right this minute and I expect it to be as enjoyable as always. Just wanted to say that I ordered my very first spinning wheel ever (Ashford Joy), looking all over Europe for a nice and customer friendly company who could make a fast delivery – and yes, I ordered it from Haldanes, so I too am gladly promoting them. Congratulations to the “Age of Innocence” read, you have done it so amazingly well! And once more you saved my weekend! 🙂 So glad to have you back again……..
i love ur voice, my parents love ur voice… who cares about the other people!!!!!!! I’ve been trying to find the cast-on episode that has the the Sir Mix a lot parody song. I must share this with my co-worker. Can someone point me to it? Hurrah for this pod cast and for Brenda, by the way. I’ve not ventured out to try other podcasts as yet, but I can’t imagine that any are wittier or better done. Hugs and wet kisses. I think the Wiki with techniques would really be wonderful. I love the idea of todays knitters coming together to contribute to a resource that can be used for years and years to come. It’s important that the people who who “know their stuff” about knitting, its history, its techniques, etc. do this so that (like someone commented in the last podcast) misinformation doesn’t beat them to it. hmmm….struggling with the concept of a submission for this series Brenda. It’s quite an amorphous subject you’ve got happening for series 4. Can you address this in a show soon? Or in the submission notes page? A sense of place was easy, i just never got it together to write something. But this one is kind of tricky…..some guidance would be really helpful! Reading over Nick’s comment on the last episode, I do agree that maybe it would be better to branch out and do something outside the scope of Wikipedia. I don’t really know what would be involved in terms of technological expertise and money, but it it’s something within the scope of Cast-On listeners (and eventually those who find their way there through other means), maybe it’s worth doing. It would be a shame to pour tons of work into the Wikipedia entry only to have it deleted because the editors don’t think the content is is appropriate for the site. If we’re going to put our energy into this, it would be easier to do it without the worry that we’re not properly conforming to Wikipedia’s rules or ideals. And I don’t know whether setting up our own wiki would be easier than changing their minds, but it would at least be more of a guarantee that important content isn’t excluded. Thanks so much for the honest loom review. If you think Syne’s podcast is dangerous, I live half an hour away from Harrisville Designs, with their gorgeous floor looms and oh so tempting workshops. I’m sure I’ll eventually succumb. Do you have any photos of yarn you used, from before it was woven into the scarves? After your description of weaving changing your perspective on colors, I’m really curious to see the before as well as the after. I agree with Rebekkah about setting up a different site altogether, but I’m unsure as to how to go about this. On another note…thanks again for the Age of Innocence. However, is anyone else having difficulties seeing the last few chapters? Mine hasn’t updated in some time and I seem to be stuck at Chapter 34. You know, Jenny Marx was pretty cool too. And very pretty. ah! I should have listened to the podcast before saying the theme was too hard. You’re talking about it right now! Fabulous! Haven’t been able to download any episodes for a few weeks. Any idea what I’m doing wrong? Have tried this site link, iTunes, podcast alley, and podcast pickle. None are working for me. Help, I’m in “Cast-On” withdrawls. That’s some beautiful fabric Brenda, and I’m loving the pictures! I must say, regarding the wiki, that I think the knitting community would benefit more from a single wiki for knitting, separate from Wikipedia. It would be more easy to expand on the knowledge properly, and I think the community would feel more comfortable adding to it. Plus, the atmosphere at Wikipedia can be intense at times. Starting a wiki can be pretty easy, and there are several options. I know at LibriVox we started our wiki at Wikispaces (http://www.wikispaces.com/), then hosted it at the main website instead. There are several different bits of software that you can get for free (including what Wikipedia uses). I might be willing to start something up, and be able to host it too. I have way more hosted space than I need. I don’t have too much time to monitor such a wiki, but I’m sure if one found enough people to keep an eye on the site it could become a pretty formidable place for information on knitting. Okay – about Age of Innocence…I’m an idiot…I was thinking there were 36 chapters. Sigh. Thanks again. As a newbie weaver, I must say your selvages look marvelous! I’m about to warp my floor loom for the second time, and hope that the edges of my next project look as even as yours. Love your thoughtful approach to both knitting and podcasting. We’re trying the looms in our LYS (I work there part time). The weaving is potentially addictive, the cost not TOO exhorbitant, yet… what do you do with the finished “fabric” besides table runners? I haven’t been able to download the last two episodes either. If someone figures out what the issue is, please email me. I need my Cast-On fix! On the subject of wikis… I have always been in favour of having a separate knitting wiki as I thought the type of information that I would want to read – a more conversational style of information – wouldn’t really fit in with the wikipedia. It would be fairly easy to assemble a ‘committee’ of sorts to be the editors. No one person need be in charge. Welcome back and a belated happy anniversary! I am struggling not to succumb to the spinning obsession. No thanks to you.. But thanks anyway for a great episode as usual! I think the wiki idea is a fine one and I am glad that you are thinking of adding to wikipedia to further the project. While wikipedia has its problems, it is a central enough location that I think most knitters would easily find the information. Great episode! I enjoyed hearing a review of the knitter’s loom from the knitting side of the fence. It reminded me of my first weaving…I got all misty! Setting up a central font of knitting knowledge is a fine idea. You got me so inspired that I was all set to charge up and post knitting info on Wikipedia…then remembered I know little about knitting. Ah well, I look forward to reading the entries. Enjoyed also Sage’s sweater of the day. Made me want to pick up a hook and I don’t crochet! Your weaving is gorgeous. I’m impressed. I’ve never tried it. I’d like to invite you to play my promo on your show. Please? If you want to download just the promo, you can find it at http://www.clickcaster.com/btfm or you can subscribe to the whole show. I’ll be recording the third episode this afternoon. You’re an inspiration! Yeah- Brenda’s back! Now I have something to listen to on the drive to the Knitter’s Review Retreat this weekend. I don’t know how I missed the Halloween episode, but I will download it and episode 40 for the trip. Your first Halloween episode is when I first started listening to your podcast. Thanks for being there for us, Brenda! So happy you’re back Brenda! I love your show but did you really have to review that loom?! Now I want one, too! It would be a great way to use up leftover handpainted yarn. Wonderful show, again. 🙂 I love listening the podcast, and your voice as well! Thak you so much for taking the trouble. Ah, the loom. My personal voyage was: Knitter at age 9 knitting along ever so happily with ack! !ryllic yarn from Kmart till I discovered Real Fibers! No going back, what once seemed impossible 9$ a ball! IMPOSSIBLE! became chump change. 19$ a ball for socks, here ya go honey, ring me up! Then the spinning class. OH WOW.3 wheels later, then the wool Festival. YIKES! it still smells like a sheep even! Then the dying…and then kids when I realized I’d never live long enough to knit up everything I could spin… the loom. I ordered my first back in the days of yore, sight unseen off a Yahoo advertisement with no picures…. Sent a check for over a thousand dollars to someone I’d only spoken to on the phone and had it shipped. I NEVER gamble, mind you. And it arrived, and everything else this woman had came with it! God Bless and Long Live Sally O, where ever she may be. Well, that was the Macomber. It’s a marvel and my favorite story of all time. Added a few more looms, a few more pounds/tonage of fibers and cone yarns….Brenda my dear… You are definitely in the deep end of the pool now. Welcome. Loved the podcast this week…very nice. I understand where your coming from when you talked about running out of “Today’s Sweaters”…hopefully your awesome podcast continues for years to come;) that part of your podcast.. I like most because as your talking about fiber, stitches, the movements, the pattern mistakes…I find my self noding, laughing because I’ve been there. It might not so much be about sweaters, but about the process. Now about Wiki…I never knew of it till you mentioned it and really havent’ explored it all that much. I do like the idea of a central location for all things fiber. I think if knitters/spinners/loomers (is that a word?) had controll of the info, it could be a grand place. Even for a central location on products is nice too. Thanks for Episode 39…keep’m coming! Regardless of where it’s hosted, a single site that knitters may access for techniques and tips would be a great idea. Funding could come from user donations and grants. Beware, Brenda! Beeeewaaaaare!!!!! You will fall in love with your portable loom, then you will start thinking of where you can put in an addition to house the floor loom you will covet. Happy anniversary. I’m caught up on all the episodes now and am loving every bit of it, even the dog snoring. First, Brenda, thank you for Cast-On. It’s my favorite hour of the week, and was the very first podcast to which I subscribed. I did all sorts of machinations to go back and get the first 35 casts, learning more about my new IPod than I really expected in the process! Now I tutor my grown children on how to make theirs work properly. I’m a knitter, spinner and weaver in East Tennessee, and was so happy to hear that you have come over to the warped side! Weaving, as you have already noticed, is a very different showcase for the yarns we love; colors and fibers you’d never, ever knit together can blend harmoniously into a spectacular woven piece. I actually came to knitting backwards – spinning too, for that matter. I started as a weaver, complete with floor looms, then slowly moved into spinning. Knitting quickly followed. Now the only problem is finding time enough for it all. Retirement is still at least 15 years away, but the fiber stash is already healthy enough to support…let’s say a conservative 10 years of fiber-related projects. The idea of a central source for knitting wisdom is a compelling one. I checked out Wikipedia’s entry on knitting a few months back and was appalled at the lack of information. I quickly returned to my favorite Knitter’s Review Forum for advice and knitting wisdom. Perhaps it is indeed time to not only look at, but contribute to the Wikipedia entry on this craft that has created so many widespread siblings. Lastly, happy anniversary. May you be podcasting many more series of my favorite ‘cast for years to come! I really enjoyed this week’s (or rather last week’s) Today’s Sweater. Thank you for opening this portion of your podcast to your listeners. I got turned on to the warp side…I bought Ashford’s Knitter’s Loom (rigid hedle, but fun). My selvedges, however, look like crap. Yours are beautiful. 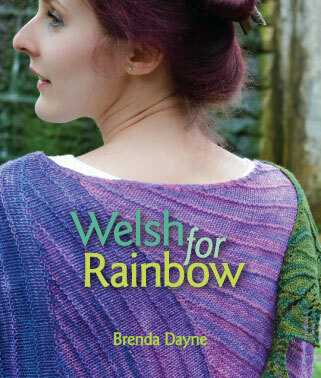 Brenda – I, too, have gotten hooked on weaving by listening to Syne’s podcast. However, since I learned about Weavecast from listening to your podcast, I figure it’s still your fault! If you want a wider rigid heddle loom that folds, check out the Kromski Harp (no affiliation). It comes in three widths, is all wood, and looks pretty darned handsome. The underside can also function as a warping board. 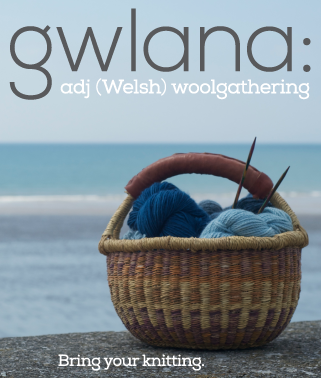 Good luck – please let us all know how your weaving fun progresses. When you first mentioned the encyclopedia at the end of the last series, I was very excited about the idea of a knitting wiki. Then, when you instead proposed a major overhaul of the Wikipedia’s knitting section, I was awed. That’s a big, exciting idea. I know there are some problems with it, but it’s still a great idea. So, why don’t we do both? As a knitter, one of the things I really want from a knitting wiki is a compilation of all the great info on people’s blogs. All the tricks and techniques that have been invented, or passed down from a blogger’s grandparent, etc. You know–there would be a page for each type of sock heel imaginable, and a page with nothing but links to each heel. Exciting! However, the Wikipedia’s knitting section needs some help. It’s important for us to contribute to this resource. I think once the knitting wiki gets going (wikiknit? knit-a-wiki?) it’ll become clear what types of general knitting info can be ported over to Wikipedia. Thanks for a great show every week! Better than _cupcakes_!?!?! I don’t know about that… I currently think there’s nothing better than the chocolate chip pumpkin cupcakes from “Vegan Cupcakes Take Over the World”. But, why can’t we have both? Creative energy + cupcakes = UNSTOPPABLE!!! I wanted to say I appreciated your comments and clarifications about Wikipedia in this episode. And upon your invitation to further this discussion I went back and read Nick’s comments from episode 39, looked at the knitting page in Wikipedia and read through the above comments to see how everyone was weighing in. I agree with Nick that we should go for expanding the Wikipedia page, as Gemma observes above, it is such a centrally located, and well known, site. And I agree, Brenda, that it is a great resource for those who do not have access to a wide range of information in various forms, such as in libraries. Let us embrace Wikipedia , recognize its limitations and acknowledge its possibilities far exceed its short-comings. Let us take it upon ourselves, as you have suggested before Brenda, to make the knitting page on Wikipedia the best it can be. And, as Jordon suggests above, lets explore the possiblities of what a dedicated knitting wiki could be. How can it go beyond the Wikipedia page (links to blogs, podcasts, local groups, events of interest)? How can it incorporate similar ideas? Would a knitting wiki need to be very structured in its organization or more organic and dynamic in how information is contributed and displayed to users? I think all this will be determined by those in the knitting community who choose to engage in such a project and how their ideas about what a knitting community is will manifest themselves in a wiki. Brenda, I’m very exicted that you have allowed this discussion to grow and am very interested to see what comes of it. As a very new knitter, I have only been knitting since May of this year, I lament at the fact that I have very little knitting knowledge to contribute, but rejoice in the fact that such easy access to information and knowledge from so many sources is possible. Thank you so much for all your efforts. Brenda, I’m a few episodes behind so forgive me for commenting on an earlier episode – hope you’re still reading comments from last month. I love the idea of a wiki dedicated to knitting. However I had the incredibly good luck to hear Jimmy Wales speak a few weeks ago and I really think that doing what we *need* as knitters falls outside the scope of Wikipedia. I think the best solution is to do both. We, as knitters, should routinely check out the Wiki site and edit it for accuracy and add appropriate content. That is an easy thing for us all to do. Yet we should also have a separate more comprehensive wiki just for our craft, in which we can include *everything* – all the ways to construct a toe-up vs. cuff-down sock, information akin to Eunny Jang’s various tutorials, history, fiber stuff, you name it!! My experience with wikis is that the most important ingredient for success is COMMITMENT by a COMMUNITY. If the thing is set up and nobody contributes, then it will die. The contributory aspect of a wiki is far more important than most people have yet come to understand. I love the podcast – thank you so much for all the work you put into it. One of the very best things about it (though there are many) is the music. I knew that there was great indy music “out there” but never knew how to find it before listening to your podcast. I’m still catching up with past podcasts, and don’t know if you’ve chosen a loom for yourself yet. There is a folding rigid heddle frame loom (the Harp) from the Gilmore company, whose second generation is going strong in Stockton, CA. It folds, has a splendid carry-bag available, and is available in bigger (you can Do Stuff with them) sizes: 16″, 24″ and 32″ (that’s the beam size as per most rigid heddle looms, actual weaving width is a little narrower). One innovation that blows my socks off is that they’ve managed to design in a warping rack on the back side, so a person can wind a warp to prepare the loom without getting another set o’ tools for that task when one graduates from using doorknobs-to-chairbacks. The prices are quite reasonable as well. As a second generation weaver who is finally dipping my fingers into knitting, I recommend looking around at all the different tools out there. After all, once you’re warped, what’s weft? Well, that’s what I get for getting all excited and posting before I’ve read all the other comments. Neeeever mind the last post! Loving cathing up with your show back ‘casts while cleaning out my folks’ winter house for sale, this month.